Are those vegan meringues? Why yes, yes they are! Read to the end to learn about the history of this recent discovery and for the simple recipe. As a vegan baker since 1997, I’m often asked how to replace eggs in recipes. The answer can be simple or complex, depending upon how precise you want to be with your baking (spoiler alert: I recommend precision). I often use the analogy of a camera. One can use a point and shoot and get decent-enough photos, but to go from amateur to pro and really wow the viewer, considering f-stop, aperture, white balance, etc. is a must. It’s your choice! For example, if a recipe calls for only one egg, you may be able to get away with a simple substitution of 2 tablespoons of water. Really! For two to three eggs, there are several possibilities. The precision comes in when choosing the best option for your specific recipe. As a pro, I analyze the recipe to determine the egg’s function; asking myself if it’s binding (holding together), leavening (lifting), foaming (as in meringue), and/or providing moisture? Once I determine the need, I look to my array of vegan ingredients and their properties. Except for the meringue recipe, amounts below are per egg replacement. 1 tablespoon ground chia seeds soaked for 5 minutes in 3 tablespoons water. For light-colored desserts, use white chia seeds to avoid black specks in your food. 1 tablespoon ground flax seeds soaked for 5 minutes in 3 tablespoons water. I prefer blond flax, as it has a more mild flavor than brown flax seeds. 1 tablespoon agar agar flakes (or 1 teaspoon agar powder) soaked for 10 minutes in 1/4 cup hot water and blended until smooth. This is the vegan alternative to gelatin, which is a cruel (and gross!) by-product of animal flesh production. 1-2 tablespoons kuzu root dissolved in an equal amount of cold water. 2 tablespoons starch: arrowroot flour/powder, tapioca starch/powder, potato starch (not flour). 2 tablespoons water plus 1 teaspoon baking powder. 1/4 cup plain non-dairy yogurt. 3 tablespoons applesauce or pumpkin purée–these are best used in apple- or pumpkin-based recipes. Add 1/2 teaspoon baking powder to lighten, otherwise, your baked goods will be dense. 1/4 cup cooked and mashed white or sweet potato. 1/2 banana, puréed. This is best for banana-based recipes, where you want the banana flavor to come through. 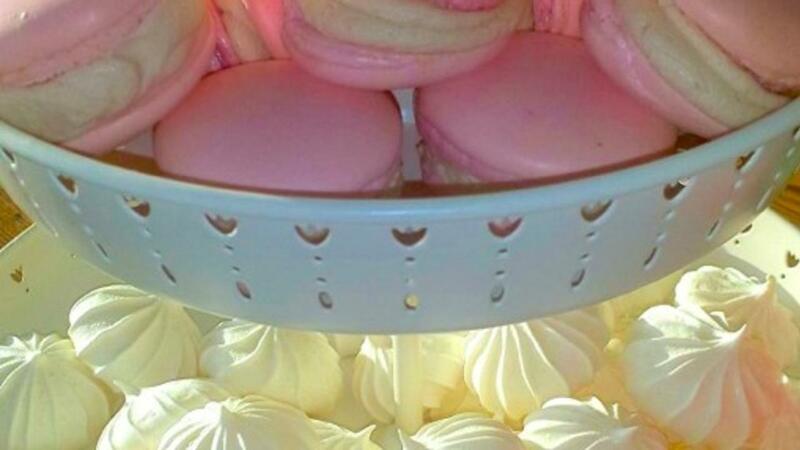 As promised, you can now make your very own vegan meringues! Recently taking the vegan world by storm is Aqua Faba, the whipped liquid from cooked beans, usually chickpeas (canned or fresh), as made popular by Goose Wohlt. Join the Facebook group, "Vegan Meringue-Hits and Misses!" to see all the excitement and participate in this thrilling collaborative effort in the vegan community! Many applications have been tested. The basic recipe for meringues follows. 1. Whisk with an electric or stand mixer for 5-10 minutes. 2. Using a pastry bag and tip, pipe onto a baking sheet and bake at 200° F for 1 hour. Recipe credit: Goose Wohlt and the Facebook group, Vegan Meringue-Hits and Misses! Find out how to make room for yourself in your own life, turn workouts into personal playdates, and make healthy eating feel indulgent. Get FREE self-care tips, love notes, and recipes! How to Shop More Sustainably: Go Beyond "Bring Your Own Grocery Bag"
READY TO FIND YOUR AUTHENTIC HAPPINESS? 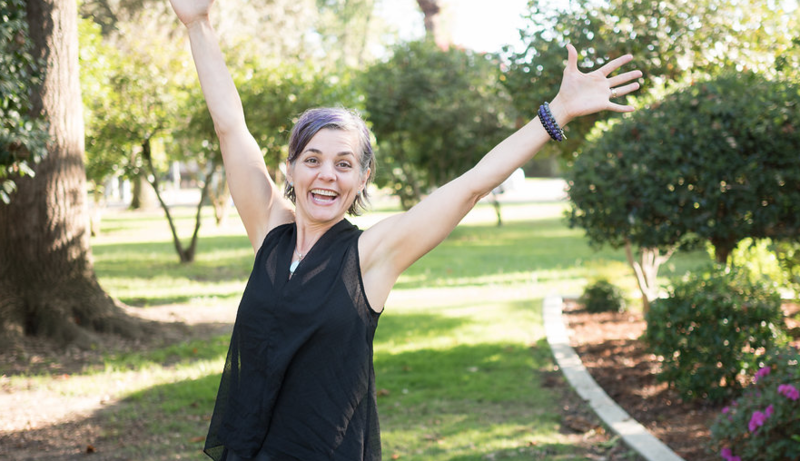 Want to know how it would feel if you moved yourself to the top of your priority list, could lovingly say "no" to what's not in alignment, and lived your life "on purpose?"